During the Super Bowl, Ravens coach John Harbaugh told his assistant coaches that they needed to make sure their defensive calls didn’t leave linebacker Ray Lewis covering 49ers tight end Vernon Davis or receiver Michael Crabtree over the middle. The 49ers had a lot of success sending Davis and Crabtree over the middle, where Lewis simply didn’t have the speed to keep up with them in coverage. As shown on NFL Turning Point on NBC Sports Network, that led to Harbaugh getting on his headset and telling the Ravens’ defensive coaching staff that they needed to call coverages that didn’t require Lewis to go one-on-one with either of them. “We can’t let Ray be matched up on 85 or 15 all day when we’re playing quarters,” Harbaugh told his coaches. On the sideline, Davis told a 49ers coach that if they could keep getting him isolated on Lewis over the middle, there was no way Lewis was going to stop him. Davis was right about that: Lewis couldn’t match up with him. Fortunately for the Ravens, the rest of the team played well enough to overcome a major liability at middle linebacker. The irony of the overlap between football and religion is that the ultimate prize in the NFL is worshiped like the golden calf from Exodus 32. Folks in Baltimore will eventually be able to bow at the sculpted likeness of linebacker Ray Lewis. Via ESPN.com, owner Steve Bisciotti said Thursday that the Ravens will be building a statue honoring Lewis. “I think he set himself apart in Baltimore sports history, and we will certainly look into it and I would not be surprised if there is one there in the next year or two,” Bisciotti said. Yeah, it’s common for mankind to honor great men and women with statues. Still, there’s a fine line between respect and idolatry. And anyone who claims that the statue of Lewis cries real tears on the anniversary of the team’s most recent Super Bowl win will probably be on the wrong side of that line. OWINGS MILLS, Md. — Over the past week, Ravens head coach John Harbaugh and general manager Ozzie Newsome have expressed desire to bring back safety Ed Reed for another season in Baltimore. Newsome said Thursday the feeling is mutual, but Reed will take his time. "Unofficially, we've had conversations," Newsome said during the team's end-of-season press conference at Ravens headquarters. "I think he wanted to let some time clear. And at that point, he and I will sit down. "He realizes there may be some other options out there, but I think if you watched his body language over the course of the last 8-10 days that he loves being here in Baltimore, and I think we can use that to help make the relationship last a little bit longer." Reed, 34, is a free agent this offseason and has yet to hire an agent, Newsome said. The Ravens have some tough salary cap decisions to make with quarterback Joe Flacco in negotiations for a new deal. Reed struggled with a shoulder injury for the majority of the season and failed to make the All-Pro team for the first time in six seasons despite playing in each game, but he did intercept San Francisco 49ers quarterback Colin Kaepernick in a Super Bowl XLVII victory Sunday. His six-year, $44 million deal is up, and while teams like the New England Patriots and Indianapolis Colts have ties to the vet, one teammate believes he'll be back in Baltimore. "Honestly, I don't know what the front office is going to do, but you've got to believe and trust that they're going to do everything they can to lock a future Hall of Famer up," said Ravens safety Bernard Pollard this week. "I know Ed wants to be here. We all want Ed here." 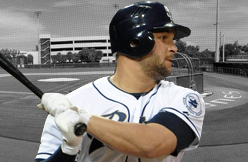 CORAL GABLES, Fla. -- With just 69 games of big league experience heading into 2012, Padres first baseman Yonder Alonso received an education on the full-season grind, complete with slumps, streaks and adjustments. He, along with then-rookie catcher Yasmani Grandal and right-hander Edison Volquez, had to adjust to a new organization. 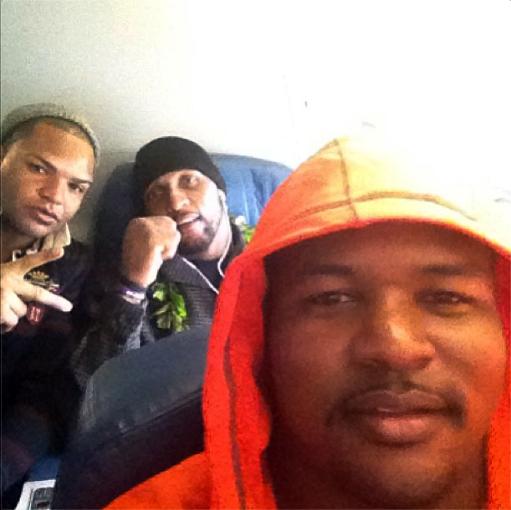 All three were traded in December 2011 from the Cincinnati Reds. Though San Diego entered last year's All-Star break 34-53 -- never reaching above .500 -- the Padres went 42-33 in the second half, finishing fourth in the National League West. "I honestly think it was just the fact that we had experience with the first half," said Alonso, who spoke at the University of Miami's preseason baseball banquet Thursday night. "Certainly we had a lot of younger guys like myself -- a lot of rookies -- where we didn't know the system, the teams. The more we played the more familiar we got. We felt more confident with ourselves and got comfortable in our surroundings and started playing like we know how to play." Yet, this offseason, San Diego's biggest transaction was recently avoiding arbitration with All-Star third baseman Chase Headley by agreeing to a one-year, $8.575 million contract. Headley provided a steady presence in the middle of the lineup and at the hot corner for the Padres, hitting for a career-high .286 average with 31 homers and a league-leading 115 RBIs. The 28-year-old finished fifth in the National League Most Valuable Player Award voting and received a Gold Glove and Silver Slugger. Much like the surging Padres, Headley's success came after the Midsummer Classic, with 23 homers and 73 RBIs. Alonso, 25, still marvels at Headley's season, comparing his value to the likes of Albert Pujols, Joey Votto and Miguel Cabrera. "He was out of control," said Alonso, who batted .273 with nine homers and 62 RBIs in 155 games. "There were two or three months there that were unreal. He always plays every day, and that's one of the things that I thrived on this year -- to play as many games as I can." San Diego also agreed to Minor League deals with starting pitchers Tim Stauffer, Arturo Lopez and two-time All-Star Freddy Garcia. Right-hander Jason Marquis, 34, re-signed with the Padres, but the organization missed out on free agents Dan Haren and Joe Blanton. The Padres will be without Grandal (.297, eight homers, 36 RBIs) -- a former collegiate teammate of Alonso's at the University of Miami -- for 50 games as he serves a suspension for testing positive for testosterone. Meanwhile, the Los Angeles Dodgers spent more money, the Arizona Diamondbacks worked trades and the San Francisco Giants kept most of their World Series championship squad intact. Still, Alonso believes the team will compete, and that it hasn't lost its momentum from the second half of last season. In 2012, San Diego dropped five games to the Dodgers by one run and six to the Giants by two runs or fewer. "We play fine with those guys," said Alonso, who leaves for Spring Training in Peoria, Ariz., on Sunday. "It doesn't scare us one bit. We just have to execute, make our game plan work and go from there. I think our team is fine, I think our team is great. We have the pieces we need to challenge other teams and play good baseball. "We have the No. 1 prospects in the country. We have one of the best farm systems in all of baseball, and I think that's how you're going to win. You're going to win with young guys, guys who want it really bad, and that's just how it is in San Diego. We're going to win." 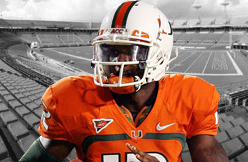 On December 17, 2012 proCanes.com reported that Jacory Harris was going to sign with the CFL Edmonton Eskimos. 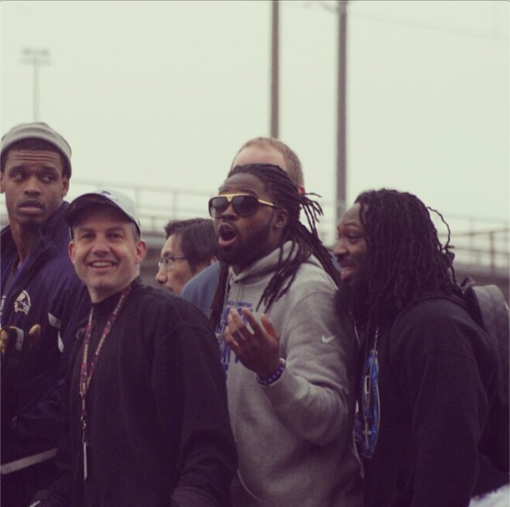 Jacory Harris has now officially signed an “import quarterback” contract with the Eskimos. Congrats Jacory! 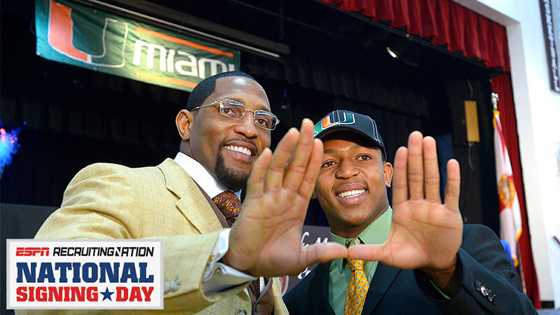 CORAL GABLES, Fla. — For Ray Lewis III, going to Miami has been a safe assumption since the day he was born. His father — the newly retired Baltimore Ravens star linebacker Ray Lewis — played for the Hurricanes. His mother is a Miami graduate as well. So when it came time for their son to pick a school, the decision was easy. Lewis III was one of 10 players to send letters of intent back to Miami on Wednesday, joining a group of five more early enrollees in a class that the Hurricanes think can make an immediate impact. Other big additions for Miami included wide receiver Stacy Coley, linebacker Jermaine Grace, safety Jamal Carter, defensive end Al-Quadin Muhammad and quarterback Kevin Olsen, the brother of another former Hurricane, NFL tight end Greg Olsen. Lewis III sent his letter of intent in very early Wednesday, then with his father at his side, went through a ceremonial signing later in the day at his school, Lake Mary Prep near Orlando, Fla.
"I made a stand my junior year in college, the year he was born, that it was time for me to go to the league," said Ray Lewis, whose last game was the Super Bowl he helped the Ravens win this past Sunday. "Now the year that he's walking into college I've made another stand that it's time for me to leave the league. Him being born has been a factor in entering the league and leaving the league." 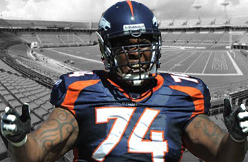 The Broncos will look long and hard at moving right tackle Orlando Franklin inside to guard. He took some snaps there during last offseason, and there is a thought that it would be his most natural position. There are some physical right tackle candidates to be found in the draft. 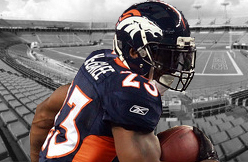 The Broncos face a decision on Willis McGahee. He finished the season on injured reserve and was tied for the league lead in lost fumbles at the position when he suffered his injury. He also will turn 32 years old during the 2013 season. He has two years remaining on his four-year deal with the team, but the Broncos want more size at the position. McGahee and Knowshon Moreno have both missed time with injuries over the last two years. 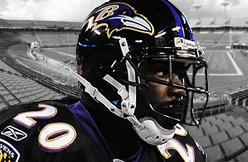 Ravens safety Ed Reed is due to become a free agent. Some believe that the Patriots could try to sign him. Teammate Bernard Pollard thinks it shouldn’t come to that, and that the Ravens and Reed should continue their long-term relationship. It’s easy to say that, especially in the wake of the Ravens capturing the true essence of “team” en route to a Super Bowl win. But the challenge for the Ravens and the players who are due to become free agents or who have contracts that carry large cap numbers will be to determine whether a balance can be struck between paying the players fair value and managing a salary cap that isn’t expected to go up by much, if at all. The Patriots were able to pull that off, getting guys to take less while winning three Super Bowls in four years. If the Ravens hope to remain successful, they’ll need to do the same thing — starting with the new leader of the team, who’s in position to leverage the franchise into a contract averaging $20 million per year. Though Joe Flacco won a Super Bowl and the MVP award that went along with it, it was the team’s defense that held (some would say literally) the 49ers out of the end zone at the conclusion of the game. Without the Ravens having enough money to sign or keep quality players, the next five or six years for Flacco could be more about making money than chasing more championships. Broncos Ready To Part Ways With DJ Williams? There also is the matter of middle linebacker, where Keith Brooking is 37 and an unrestricted free agent. The Broncos are poised to either part ways with D.J. Williams or ask him to take a significant pay cut. Williams was a situational player only after he returned from nine games' worth of suspensions. He is due to make $6 million in the upcoming season. That's too rich for his output. NEW ORLEANS – His work was done. His conquest was complete. And with his sons in tow, a victory party to attend and a post-football existence to begin, Ray Lewis politely declined to answer another question about the Baltimore Ravens' remarkable Super Bowl XLVII triumph. Then, suddenly, the departing star changed his mind: The subject matter stopped him. What's love got to do with it? Lewis, the Ravens' legendary linebacker and unparalleled leader, the man who'd just been part of a dramatic goal-line stand to preserve a 34-31 victory over the San Francisco 49ers, flashed a satisfied smile and gave the final quote of his 17-year career. "Love," Lewis said, "is the reason why we're here." He took a few steps and stopped to embrace the only other Ravens player who remained in the locker room, cornerback Cary Williams. "They just don't understand, do they, Cary, how much we love each other?" Lewis asked. He turned back to me, resuming his last interview as an active player: "But it's a family, man, for life. For life! We're a family, man. And that's what it's really all about: When you see people win championships, they do it based off love." In truth, these Ravens had a litany of special qualities. To defeat the favored 49ers in front of 71,024 fans at the Mercedes-Benz Superdome – and with the whole world watching on television – the Ravens had to demonstrate the resilience and collective will which carried them throughout this special season. "If it wasn't tough, it wouldn't have been right," veteran linebacker Brendon Ayanbadejo said afterward. "I mean, by any means necessary. Whatever it took to get the job done. We never gave up faith. We just believed. We're a galvanized unit. We're battle-tested. We've been through the flames together, and that's why we came out world champions." Sure enough, after jumping out to a 28-6 lead on Jacoby Jones' 108-yard kickoff return to start the second half, Baltimore would have to endure a bizarre, momentum-killing, 34-minute delay caused by a Superdome power outage and survive a furious 49ers comeback that brought San Francisco to within five yards of a go-ahead score. Lewis, a polarizing and attention-consuming figure in the week leading up to the game, didn't make a play as the Ravens made their season-saving stand. He didn't have to, because others stepped up, which was precisely the point. In a season of emotional speeches, including the Jan. 2 team meeting in which Lewis underscored the urgency of the Ravens' playoff quest by informing teammates that the upcoming postseason would be his "last ride," the linebacker saved his most powerful words for the most pivotal moment. On Saturday night in a banquet room on the third floor of the Hilton Riverside – coach John Harbaugh, bucking the convention of virtually every Super Bowl team of the last two decades, decided not to move his unflappable team to a lower-key location on the eve of the Ultimate Game – Lewis gave a tearful, 11-minute speech that had many of his ultra-tough teammates bawling like Oprah watching "Terms of Endearment." "It was awesome. Awesome. Exactly what we needed," said Ravens pass rusher Terrell Suggs, the 2011 NFL defensive player of the year who fought back from Achilles tendon and biceps tears to contribute to his team's unlikely title run. "But what else do you expect from the ultimate leader? There'll never be another like him. "He talked about his teammates. He said, ‘When we get this done tomorrow, we'll be linked together forever. … Let's go show the world how special our brotherhood is.' And that's what we went and did." If your instincts are to roll your eyes at such proclamations, I strongly advise you to fight them. In our football-obsessed culture, we tend to characterize the game as one of matchups and schemes, of big hits and pretty passes, of statistical trends and superior athleticism. It can be all of that, at times, but at its core the sport – even at its highest level – is about trusting the person next to you and bonding together to create an aura of imperviousness. And, as Lewis asserts, love, at least for these Ravens, is the most powerful force of all. "Love put us over the top. You wouldn't think it, because football is a game known for machismo and violence and toughness, but love is what drove our success. Just like the most epic action movies end up being love stories – 'The Matrix,' 'Star Wars,' 'Gladiator.' This Ravens team is a love story." The story began 54 weeks ago, when a pair of late blunders doomed Baltimore to a crushing defeat to the New England Patriots in the 2011 AFC championship game. A postgame speech by Lewis helped drive the Ravens to overcome a litany of obstacles and navigate their way through internal tension that included a contentious late October meeting after the linebacker went down with what was believed to be a season-ending triceps injury. In the playoffs, after a first-round victory over the Indianapolis Colts in which Lewis was showered with affection following his final home game, Baltimore pulled off road upsets over future Hall of Fame quarterbacks Peyton Manning and Tom Brady, the latter an AFC title game rematch with the Pats in Foxborough, Mass. 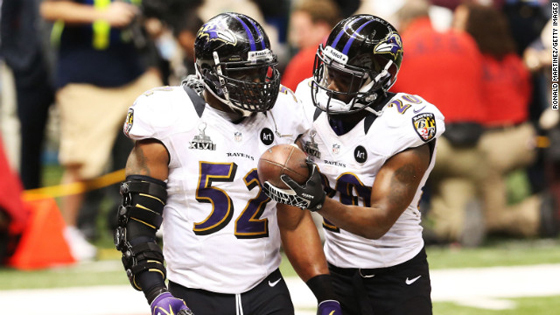 "We had the toughest road in these playoffs," Suggs said Sunday night. "We did it, baby. We did it together." In those 11 emotional minutes on Saturday night, Lewis reminded his teammates of all of that, and more. Harbaugh, whose impending clash with younger brother and Niners coaching counterpart Jim rivaled Lewis' swan song as the predominant pre-Super Bowl theme, spoke for less than a minute before yielding the floor to the linebacker, and the passion came pouring out of the team's 37-year-old leader. "Ray said last night that he's never felt love like this on any team that he's ever played on in this life," Ayanbadejo said. "And he included the 2000 team [which won the Ravens' only other Super Bowl]. He said that we're willing to do anything for each other, and that's when you become a champion, when you're willing to do anything for the man next to you. "People were crying. He was crying. It was the last time he was ever gonna stand up in front of us. So it was an intimate, special moment that we had together. It was a night I'll never forget. It was just a culmination of everything we believed in, 54 weeks ago when we lost that AFC championship game." As if the Ravens needed an additional emotional jolt, it came on Super Sunday. A few hours before the game, former Baltimore linebacker and current senior adviser to player development O.J. Brigance addressed the team. Brigance, whose battle with ALS has touched Baltimore's players on a daily basis, spoke through a communication device that translates his thoughts and, said Suggs, "just put it all in perspective, about us being a team of vision and all we've been through." Once Baltimore's players took the field at the Superdome, they felt the love of their raucous, chanting supporters. Twelve years ago at Raymond James Stadium in Tampa, in the franchise's fifth season of existence, Ravens fans were vastly outnumbered by those of the New York Giants, a team Baltimore would dispatch by a 34-7 score. This time, the roars of their purple-clad peeps dominated the stadium. Ravens fans would have plenty to cheer about, from the jump: Fifth-year quarterback Joe Flacco, continuing a stellar postseason (11 touchdown passes, no interceptions, matching Joe Montana's incredible 1989 performance), tossed three first-half scoring throws, the first a 13-yard beauty to veteran wideout Anquan Boldin (six catches, 104 yards) in the back of the end zone and the last a 56-yard bomb to Jones. A David Akers field goal on the final play of the first half closed the Niners' deficit to 21-6, but when Jones took the second-half kickoff to the house, it looked like lights out for the 49ers. Then, darkness descended, and it was lights out for the Ravens' runaway victory. When the game finally resumed everything changed. The Niners, as they had after falling into an early 17-0 hole in their NFC championship game victory over the Atlanta Falcons, launched a fast and furious comeback that would bring them to within two points with 10:04 remaining, failing to tie the game when Colin Kaepernick's throw for a two-point conversion sailed over the head of Randy Moss. The Ravens responded with a long field-goal drive to take a 34-29 lead with 4:23 remaining. Preserving it – and the team's championship dreams – would be on the defense, as it had so many times in Lewis' long career. "When we kicked that field goal with 4:32 to go, I said, ‘Oh [expletive], we needed to put ‘em away,'" Suggs said. "That was soooo stressful." Frank Gore's 33-yard burst around left end to the Baltimore 7 brought the stress level to an almost untenable level. Almost. Lewis, Suggs and their fellow defenders, including veteran safety Ed Reed (who'd earlier grabbed his ninth career postseason interception, tying an NFL record), weren't having that. They couldn't. This was about securing a legacy, finishing a long quest and honoring the bonds forged over years of similar struggles. One two-yard run by LaMichael James and three Kaepernick-to-Crabtree incompletions later, the Ravens had shown the world how special their brotherhood was. Baltimore took over at its own 5, and after killing most of the clock on three short runs, Harbaugh had punter Sam Koch take an intentional safety. With four seconds remaining, Koch handled free-kick duties from his own 20 and blasted a punt to Ted Ginn Jr. who, with apologies to recently fired Ravens offensive coordinator Cam Cameron, would have needed the assistance of his entire family to go the 69 yards needed to win this game. Ginn made it to midfield before being tackled, the season literally ending with a fallen opponent on the NFL shield logo while Lewis, as he'd envisioned in weeks leading up to the game, celebrated with his teammates amid purple confetti swirling up above. Ninety minutes later, after answering one, final question about love, Lewis strode out of the locker room and entered the hallway leading up to the Superdome exit. As he headed toward team bus No. 5 outside, scores of stadium workers in red jackets spontaneously burst into applause. I've covered 20 Super Bowls, including last-game triumphs by retiring stars John Elway, Jerome Bettis and Michael Strahan, but I'm not sure I've ever seen a sight like that. 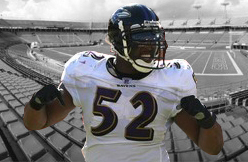 Then again, I've never encountered a leader like Lewis nor, in many ways, have I seen a team like the 2012 Ravens. Their season was a succession of perseverance through tough circumstances and communal defiance that baffled outsiders but made plenty of sense to the men who made it happen. It was a love story with an epic ending, and when the star gave his speech on the eve of his last and most satisfying act as a leader, there wasn't a dry eye in the house. You’ve been a pro for a long time now, long acknowledged to be one of the best at what you do. You’re headed for the Hall of Fame some day… but your career hasn’t included the ultimate achievement of a championship. And you’re in your 30s now, so time’s running out. But then it all comes together. Your team goes on a magical run to a title. You’ve done it. Your place in history is secure. 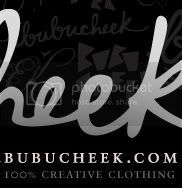 Your career lacks nothing. And some bonus “Seven Nation Army” crowd-baiting at that. (Wonder how John Harbaugh felt, though, when Reed poked fun at the Niners’ “Who’s got it better than us?” rallying cry, considering it originated with Harbaugh’s father.) This wasn’t Reed’s first brush with the song, but it was undoubtedly the sweetest. And, his teammates probably wouldn’t mind if it was his last. But today, that didn’t matter. Ed Reed’s finally a Super Bowl champion. Sing as badly as you want, Ed. No one does have it better than you right now. Philadelphia Eagles DT Antonio Dixon may not return to the team next season because he is probably too small to play nose tackle in the 3-4 defensive alignment. - Conspicuous by his absence Monday on Raw was that of WWE Champion Dwayne "The Rock" Johnson. "The Great One" addressed his whereabouts in a Twitter message Tuesday. After a fan asked, "where was you? #Raw without The Rock isnt the same!!! ", Johnson replied, "I feel you bro. I was on tour. No rest for the warriors. I'll be back this Monday! #JustBringIt." Johnson returns to Raw next Monday in in Nashville, Tennessee and is also advertised for the following evening's SmackDown taping in Little Rock, Arkansas. - WWE officials were pleased with the "Shooting Straight" panels at Royal Rumble Fan Fest, which offered fans the opportunity to hear inside stories about the Montreal Screwjob, D-Generation X and WCW. Expect similar panels to be held at upcoming Fan Fests. - Ringside Collectibles has released a video previewing the Chris Jericho WWE Elite Series 20 Mattel Toy Wrestling Action Figure, which is the first ever Mattel WWE Figure that glows in the dark. It is available for pre-order at RingsideCollectibles.com and will be officially released in March. 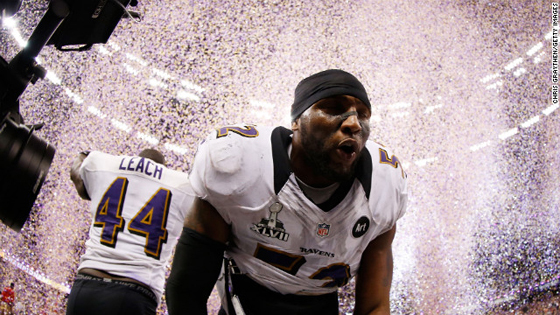 The Baltimore Ravens rallied around Ray Lewis to win the Super Bowl for him, but they certainly didn't win it because of him. At least that's what Trevor Pryce, current CBS Sports Network analyst and former Ravens defensive end, had to say Monday during an appearance on The Jim Rome Show. "I think (Lewis) played with a case of the nerves. I think he had the yips. I really do." To Pryce's point, San Francisco was onto something in playing at Lewis early on during Super Bowl XLVII. On one run to the left, Lewis filled the gap and had a clean shot at Frank Gore, but looked silly when Gore side-stepped him. It was clear, too, that Lewis was no match to cover 49ers tight end Vernon Davis -- or anybody else over the middle for that matter. But, as Pryce alluded to, the 49ers didn't continue with this plan of attack -- among other bad decisions. And for that, Lewis got away with winning a title before retirement despite playing his worst game of the postseason. Pryce attributed Lewis' performance to nerves. "He had it bad; he didn't look like himself, even his new self. 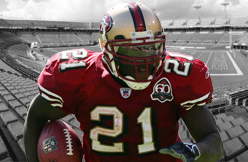 Forget his old self, that guy's gone, that guy's named Patrick Willis," Pryce said. "But even the guy he was (in the AFC Championship Game), he wasn't that guy. He had a case of it bad, badly. It was almost like he was just hoping let's get this over with." 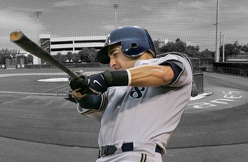 Milwaukee Brewers star Ryan Braun's name is in records of the Miami-area clinic alleged to have distributed performance-enhancing drugs to a rash of baseball players, and Major League Baseball will investigate the link to the former MVP who tested positive for illegal synthetic testosterone during the 2011 postseason. Three of the Biogenesis clinic records obtained by Yahoo! Sports show Braun's name. Unlike the players named by the Miami New Times in its report that blew open the Biogenesis case, Braun's name is not listed next to any specific PEDs. Braun said his attorneys retained the clinic's operator, Anthony Bosch, as a consultant during his appeal for the positive test. "I have nothing to hide and have never had any other relationship with Bosch," Braun said. "I will fully cooperate with any inquiry into this matter." MLB is investigating the Biogenesis clinic and Bosch to determine the breadth of his alleged PED dispersal throughout the sport. The league could pursue punishment through non-analytical positives – evidentiary links to players without positive tests – and one source said it will not limit the potential discipline to those whose names are surfacing for the first time, meaning those who have faced suspensions in the past could again be tried. Braun is on a list that includes Alex Rodriguez, Melky Cabrera and Cesar Carrillo, who the New Times reported received PEDs from Bosch. Also on the list are New York Yankees catcher Francisco Cervelli and Baltimore Orioles third baseman Danny Valencia, who weren't listed near PEDs either. The record matches a document the New Times posted with Braun's name redacted and Cervelli and Valencia's cut off. In a statement, Valencia denied involvement with the clinic and said he would cooperate with MLB's investigation. "I am shocked and troubled that my name is in any way connected to this story," Valencia said in the statement. "I have never met or spoken to anyone connected with Biogenesis." Why Braun's name was sandwiched among three alleged users' was not explained by his statement. He referenced his presence on another document, which lists his name along with "RB 20-30K" – explained by Braun's statement as "a dispute over compensation for Bosch's work." Later in the document are multiple mentions of Chris Lyons, one of Braun's attorneys during the 2011-12 offseason when he fought the positive test. When reached by Yahoo! Sports on Tuesday evening, Lyons declined comment. David Cornwell, another of Braun's attorney's, has worked with baseball and football players facing suspensions for PEDs. "During the course of preparing for my successful appeal last year, my attorneys, who were previously familiar with Tony Bosch, used him as a consultant," Braun said. "More specifically, he answered questions about [testosterone-to-epitestosterone] ratio and possibilities of tampering with samples." The nature of their previous relationship is unclear. Sources questioned why Braun, who retained doctors with intimate knowledge of drug testing as experts in his arbitration case, would use Bosch, who was portrayed by the New Times as a rogue chemist and anti-aging guru who passed himself off as a doctor even though he had no medical degree. While Braun never contested the findings of the test, which found elevated testosterone levels in his urine, a 50-game suspension was overturned after chain-of-custody issues arose from the test-taker keeping the specimen in his basement over the weekend instead of immediately shipping it to a testing lab. Braun denied use of testosterone publicly. The early portion of MLB's investigation has focused on the web of connections to the University of Miami, where Braun attended college. Carrillo, a pitcher in the Detroit Tigers organization, was Braun's road roommate for three years. Jimmy Goins, a strength-and-conditioning coach at the school and alleged client of Bosch's, worked with Braun during his three years at Miami. Goins has denied a connection to Bosch. At least two others implicated by the New Times – Washington Nationals pitcher Gio Gonzalez and San Diego Padres catcher Yasmani Grandal – have worked with Goins. Grandal, Cabrera and Bartolo Colon, all listed in Bosch's records, were suspended by MLB after testing positive for testosterone this season. MLB is considering pursuing further discipline against them, particularly if the league can acquire records that tie players to PEDs on different dates than their positive tests. Two league officials met with New Times editors in Miami on Monday hopeful the newspaper would turn over the documents, which would aid an investigation and potential arbitration hearings if the league were to pursue suspensions. While the newspaper did not give the records to MLB, it is still considering doing so, according to two sources. Braun's acknowledgement of the documents' veracity could quell speculation, including from some accused players, of the legitimacy of the records. The third record is a letter from Bosch that appears to be to Juan Nunez, a former runner for the ACES sports agency that represents Cabrera, Cruz and Gonzalez. Though undated, it congratulates "Juan" on "the MVP award" – a possible reference to Cabrera's All-Star Game MVP – and continues: "This smells like the 'Braun' advantage." Braun's name does not appear in the document on the New Times' website. The players as well as Bosch issued blanket denials in the aftermath of the New Times report. Rodriguez said in a statement he was never treated by Bosch and "(t)he purported documents referenced in the story – at least as they relate to Alex Rodriguez – are not legitimate." Rodriguez also denied an ESPN.com report that Bosch had personally injected him. In a statement, Gonzalez said: "I've never met or spoken with Tony Bosch or used any substances provided by him." Attorneys representing Cruz said: "To the extent these allegations and inferences refer to Nelson, they are denied." Bosch's attorney said the New Times story was "filled with inaccuracies, innuendo and misstatements of fact." Braun has eight years and more than $130 million remaining on his current contract. He finished second in NL MVP voting last season after hitting a league-leading 41 home runs. 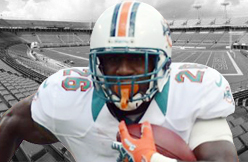 Dolphins GM Jeff Ireland singled out Lamar Miller as the player he's expecting the most growth from in 2013. The fog is starting to clear, and it's looking more and more likely that free agent Reggie Bush will not be re-signed. "Lamar really showed some great signs of really some explosive-play opportunity," Ireland said. "He kind of shoots out of the cannon when he hits the hole. He’s got very good hands. I thought he did a very good job in his pass protection, which keeps him on the field all three downs." Armando Salguero of the Miami Herald recently reported that Miami thinks Miller can be an upgrade on Bush as a system fit in Joe Philbin's zone-run scheme. Daniel Thomas, or another veteran, would likely be Miller's backup. Miller's fantasy stock is on the upswing. Holding a huge unlit victory cigar inside the Ravens' locker room after winning the Super Bowl, free safety Ed Reed made it abundantly clear he wants to keep playing football. "This is not it!" Reed said. "This is not it! I'm not done. I'll reassess things the way I always do and we'll tune in and get back to you all. It's all about the moment. I'm not even thinking about this. I love this game. If I'm able to do it, I'll be doing it." 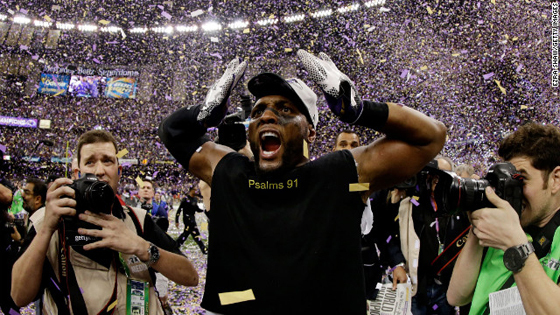 After toppling the San Francisco 49ers in Super Bowl XLVII at the Mercedes-Benz Superdome, Reed spoke with coach John Harbaugh about his ambition to return. Although both sides seem to want the same thing and Reed isn't currently inclined toward retirement after contemplating it in the past, it's a complicated situation. Reed's six-year, $44.4 million contract has expired. He's 34 years old and has a significant injury history, including a nerve impingement in his neck, a torn shoulder labrum and a surgically repaired hip from a few years ago. Reed said following the game that he played through sprained medial collateral ligaments in both knees. Although Reed's range has declined, he remains an instinctive defender who had four interceptions in the regular season and picked off 49ers quarterback Colin Kaepernick in the Super Bowl. Ravens coach John Harbaugh is hopeful that a compromise can be reached. Reed is scheduled to meet with general manager Ozzie Newsome in the next few weeks to discuss his status. Reed has no representation currently, but has met with agents within the past six months and is expected to eventually hire a new one for any negotiations that might come up. “We had that conversation on the bus ride away from the stadium actually,” Harbaugh said. "He and I both agreed that we want him back. I want him back, and Ed wants to come back. And on the seventh day, he danced. Linebacking legend and noted wallflower Ray Lewis got on stage at the Baltimore Ravens victory party to give R&B superstar Mary J. Blige a personal lesson in his patented "squirrel dance." The Ravens posted a picture to Twitter of Ray and Mary holding hands on stage, while dozens of attendees took pictures on their phones. The dance is pretty easy, Mary. It can be broken down into 26 simple moves: Step, step, bird flap, bird flap, upward nose nuzzle, fire on pant cuff, jump, jump, jump, appreciate the backing Nelly track, left foot, right foot, here come the hotstepper, shimmy, slide, shimmy, slide, clap, clap, break it off, chest thrust, arms up, bigger chest thrust, first pump, leg kick and a casual handshake with Ed Reed. Blige performed at the Ravens' victory party for friends, family and Illuminati. Rick Reilly of ESPN said team owner Steve Bisciotti spent $2 million on the party. It featured an international music star, a 35-foot video screen, a dozen-piece backing band and the presence of Beyonce. Such lavish perks are what Joe Flacco's agent calls "leverage" when he's trying to get every last cent from Bisciotti next month. The retiring linebacker wasn't the only one giving dance lessons Sunday night. Super Bowl star Jacoby Jones taught his version of the squirrel dance to the postgame crew on CBS Sports Network. John Harbaugh politely declined. 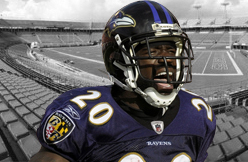 NEW ORLEANS —— Ravens veteran free safety Ed Reed has never embraced a conventional approach. So the Louisiana native wasn't keen on the idea of retiring after a Super Bowl victory in front of his family and friends. Following the Ravens' 34-31 victory over the San Francisco 49ers at the Mercedes-Benz Superdome, Reed declared in the locker room emphatically that he has more football left in him. "This is not it," Reed shouted. "This is not it. I'm not done." Reed, 34, has battled multiple health issues, including a torn shoulder labrum and a nerve impingement. Brandishing a huge unlit cigar in his mouth, the St. Rose, La., native said he's more than likely to keep playing the game as long as his body cooperates. "It's all about right now," Reed said. "I'll reassess things the way I always do and we'll tune in and get back to you all. It's all about the moment. I'm not even thinking about this. I love this game. If I'm able to do it, I'll be doing it." Reed intercepted 49ers quarterback Colin Kaepernick in the first half. "He overthrew it," Reed said. "Corey Graham did a great job on the backside by discouraging and making him throw it behind Randy. He threw it too high. I'm just happy to catch it, man." For Reed, this marks a perfect ending to the season. The Destrehan High product takes an immense amount of pride in being from the New Orleans area. "To do it for the hometown, in the hometown, to do it for Baltimore — there can't be a better feeling than that," Reed said. "I'm blessed and grateful. I'm just so grateful." Reed said he's not done having fun. He has plans to celebrate here in New Orleans. "This season, man I'm ready to kick my feet up, but I can't," Reed said. "I'm ready for [New Orleans brass band] Rebirth. Ready to second-line all the way up Poydras [Street], man. We about to walk all the way back to the hotel like we do it in New Orleans." Reed's younger brother, Brian Reed, died two years ago after jumping into the Mississippi River. Brian Reed had battled mental illness. "It's bittersweet because we have been through a lot," Reed said. "Been through a lot as men. Been through a lot as a team." 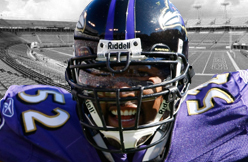 Baltimore Ravens linebacker Terrell Suggs insists future Hall of Fame linebacker Ray Lewis is the "ultimate leader," and there will "never be another like him." Teammates tell Yahoo! Sports' Michael Silver that Lewis indeed lived up to his reputation Saturday night with an 11-minute speech that left many of them sobbing. "I mean, we were ready to die for each other out there," linebacker Brendon Ayanbadejo said. "And I know that's a bit dramatic, but that's the way this team is. That's what Ray has talked about." What was the subject of Lewis' stirring pep talk? Love. "Love put us over the top," Ayanbadejo explained. "You wouldn't think it, because football is a game known for machismo and violence and toughness, but love is what drove our success. Just like the most epic action movies end up being love stories -- The Matrix, Star Wars, Gladiator. This Ravens team is a love story." Lewis told teammates who nearly revolted in October that he's never loved a team like this year's Ravens team. "And he included the 2000 team (which won the Ravens' only other Super Bowl)," Ayanbadejo said. "People were crying. He was crying. It was the last time he was ever gonna stand up in front of us. So it was an intimate, special moment that we had together." 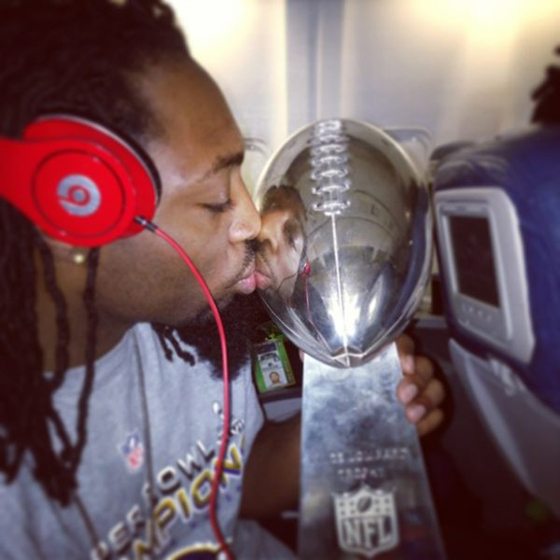 Armed with his second Super Bowl title after the team's 34-31 win over the San Francisco 49ers on Sunday, Lewis is at peace with his decision to walk away from teammates after this last ride. "The only thing that ends for me, is football," Lewis said after the game. 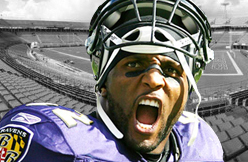 "Life really begins for Ray Lewis now." With the lights (mostly) back on and the 49ers ripping off a 17-0 run in the second half, the Ravens looked like they were about to collapse and lose the Super Bowl matchup they had all but won Sunday night. San Francisco couldn’t finish the job, though, and after Baltimore’s defense held firm one more time, the Ravens were the victors. Some people thought the 49ers were lucky to make the 34-31 loss as close as it was — but not 49ers star running back, Frank Gore. The 49ers certainly looked like the better team in the second half, when they finally started clicking on both sides of the ball and staged their comeback. But when it mattered most, the 49ers again failed to shut down the Ravens’ Joe Flacco-powered offense, and Colin Kaepernick couldn’t take advantage of defensive holes with his arm or legs. Even with a controversial non-call on a possible hold near the end of the game, San Francisco still botched several chances to take the lead and put the game away. That didn’t seem to faze Gore, though. In what was San Francisco’s first loss ever in a Super Bowl, he seemed less worried about the outcome and more concerned about who was winning that “better team” gold medal. Devin Hester backed off talk of retirement but believes a "fresh start" with another team might be best, and the record-setting return man said he is not interested in playing receiver if he is back with the Chicago Bears. "I'm going to try to get two or three more years in," Hester told the Chicago Tribune. "I think I have that much left in me. "At the same time, I think I do need a fresh start." "To be honest with you, if I'm still here, I don't want to play offense," Hester told the Tribune. "I don't think my role [on offense] will fit. I can't truly say that with the new offense, but from past experience, I don't think it will fit." Hester, who will make about $2.1 million in the final year of his contract next season, said he wouldn't rule out asking for a trade. "It's a possibility. I'm loyal to my team," Hester said. "But the fans and my teammates have to understand where I'm coming from. I don't want to walk away from this game with another season going the way it ended this year. ... It might have to take a fresh start somewhere else." Hester's 12 punt returns for touchdowns are an NFL record, and his next return for a score will tie him with Deion Sanders for the most combined return touchdowns in NFL history with 19. But he hasn't returned one for a score since Oct. 16, 2011, a span of 25 games. After establishing himself as the game's premier return man in 2006, Hester added receiving duties in 2007. He posted a career-best 57 catches in 2009, but his totals have dropped in each of the past three seasons. He was targeted just 40 times in 2012, good for sixth on the Bears. "Not only this year, but the last couple of years it has been like that," Hester told the Tribune. "It was really starting to show, why I was frustrated. I'm not making any excuses. I know some of the plays I should have made in terms of catching the ball. But I just wasn't feeling it. My mind wasn't there the majority of the time." Former receivers coach Darryl Drake said before the 2012 season that if Hester didn't catch more than the 26 passes he caught in 2011, the coaching staff would have "failed him." Asked why Hester came up short, Drake struggled to find an explanation. "I couldn't tell you," Drake told "Waddle & Silvy" on Tuesday on ESPN Chicago 1000. "Again, when you have a guy with that kind of talent, and he does have talent -- contrary to what a lot of people say, he does have talent -- he feeds off success, and any guy like him has to be involved. "And I've heard we're going to have 'The Devin Hester Package,' I've heard that for I don't know how many years. And I'm part of it, but I haven't seen it. I haven't seen it come into fruition on Sundays, but I think a guy with his ability, the more you get it to him, the more you see, the better he is. When you don't get it to him, then frustration sets in, and you'll see it." Former Bears special teams coach Dave Toub said Hester needs to start having fun again, and the production will follow. "He still has a lot of talent," Toub said Jan. 16 on "Waddle & Silvy." "You see it in practice. It's more mental with him. He has to get his mind right, and once that thing starts clicking, he's going to be fine." NEW ORLEANS —— Ray Lewis' Ravens held on for dear life, a seemingly certain Super Bowl victory only a few yards from slipping away. In the end, however, Lewis got the finale he wanted to his decorated 17-year career, a world championship secured by one last defensive stand against the younger, faster San Francisco 49ers. When it was finally over, Lewis bellowed at the sky, his arms wide open as confetti rained around him. The face of the Ravens was a Super Bowl champion for the second time and a retiree for the first. "Baltimore!" he shouted, clutching the Lombardi Trophy. "It's simple," Lewis said when CBS announcer Jim Nantz asked him what he made of the victory. "When God is for you, who can be against you?" 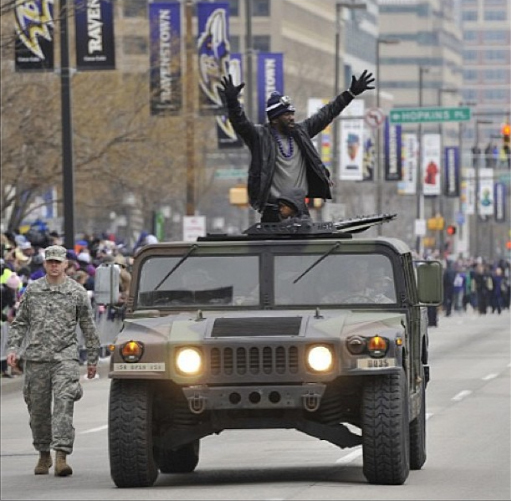 He had announced that this was his "last ride" just before the playoffs, when few gave the Ravens a chance to go all the way. In the days that followed, some teammates would say the emotional announcement was the turning point in their season. Lewis' last game was also perhaps his strangest. The Ravens jumped to a 28-6 lead only to sacrifice almost all of it after a 33-minute power outage struck the Mercedes-Benz Superdome early in the third quarter. After the lights returned, Lewis' defense could hardly slow the 49ers. Before all the insanity, Lewis gave Ravens fans some vintage moments. With black triangles painted under his eyes, he gathered his teammates around him one last time, thrusting his face into theirs as he woofed pre-game inspiration. The Ravens' faithful chanted "Seven Nation Army" in the background. Lewis panted with emotion as Alicia Keys sang the national anthem. Once the game began, he was his usual lively self, strutting and flapping his arms to the crowd every time he got in on a hit. But there were reminders that this wasn't the Lewis of 2000. When 49ers quarterback Colin Kaepernick took off running, the 37-year-old Lewis wasn't quick enough to close on him. And he could not cover tight end Vernon Davis, who seemed to burst open on almost every 49ers passing play, catching six passes on eight targets for 104 yards. 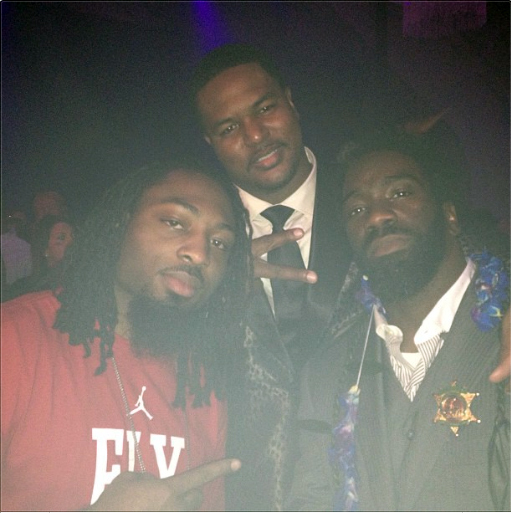 Dannell Ellerbe was the best Ravens linebacker on the field. Quarterback Joe Flacco, whom Lewis had anointed "the general" earlier in the playoffs, was the clear star for Baltimore. Ultimately the Ravens' defense made the defining stand late in the game, Lewis barking directions when it mattered most. "The final series of Ray Lewis' career was a goal-line stand to win the Lombardi Trophy," Ravens coach John Harbaugh said. "Ray said it on the podium: How could it be any other way than that?" The last week of Lewis' career was just as complicated as the previous 17 years. Amid all the plaudits for his greatness came allegations in a Sports Illustrated article that he had obtained performance-enhancing drugs to aid his recovery from a torn triceps. Lewis adamantly denied using deer antler spray — laced with a banned hormone according to its maker — and said he was more agitated than angry about the controversy. But the story gave critics new ammunition to question Lewis' self-image as a morally upright warrior. Baltimore fans have never paid Lewis' detractors much mind. For them he'll always be the face of a pro football renaissance that began in 1996, 12 years after the Colts had broken their hearts by fleeing town. The stats and accolades say plenty about Lewis: 17 seasons, more than any linebacker currently in the Pro Football Hall of Fame, 13 Pro Bowl selections, Super Bowl MVP, NFL All-Decade. But it's the images that will really abide. Just as Baltimoreans remember Johnny Unitas, coolly cocking the ball during a fourth-quarter comeback, they will forever dream of the young No. 52, dashing from sideline to sideline to corral every ballcarrier in sight. They'll picture the hips shimmying and the chest thrusting as Lewis emerged from the tunnel at M&T Bank Stadium to the beats of Nelly's "Hot in Herre." They'll recall the fire in his eyes and the music in his voice as he barked at teammates, "Any dogs in the house?" It's a complicated legacy to be sure. Around the country, many have never gotten past the murder charges Lewis faced in connection with the fatal stabbing of two men outside an Atlanta club the night of the 2000 Super Bowl. He pleaded guilty to a misdemeanor obstruction-of-justice charge and agreed to testify against his co-defendants, later reaching financial settlements with the families of both victims to avoid civil trials. Lewis stood in the eye of a media storm as he led the Ravens to the Super Bowl in 2001, a year after the Atlanta incident. He wasn't asked about it nearly as much this year, though when he was, he said he lives with it every day. Atlanta aside, other fans see Lewis as a phony because of his outspoken Christianity and showy leadership. His hold on a football nation is undeniable, however. No other player's jersey was close to as prevalent on the streets of New Orleans in the past week. And stars from around the NFL have paid verbal homage to Lewis, not only as an on-field force but as a personal counselor on the travails of public life. For a few moments on Sunday night, all the complexity washed away and Lewis was just a man who had given his life to football, celebrating the perfect ending. "Daddy gets to come home now," Lewis said. "It is the most ultimate feeling ever. This is the way you do it. No other way to go out and end a career. This is how you do it." 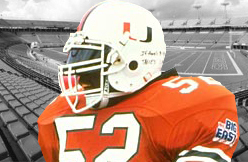 CONGRATULATIONS to Newest proCane NFL Hall of Fame Inductee Warren Sapp who became the 6th proCane in the NFL Hall of Fame joining Ted Hendricks, Cortez Kennedy, Michael Irvin, Jim Kelly, Jim Otto. NEW ORLEANS -- Less than an hour after the 49ers' last gasp of Super Bowl XLVII, Frank Gore sat back quietly behind a podium, eyes glistening. He shook his head and looked down at bright yellow shoes that stood out amid a fitting all-black wardrobe. "We were the better team," Gore said quietly. The scoreboard said otherwise, but Gore, like the 49ers in the second half, didn't back down. He was proud of his teammates and of his contribution: 19 rushes for 110 yards and a touchdown in a 34-31 loss to the Baltimore Ravens. "I just feel like we were the better team," Gore repeated. "They got away with one today. It's tough. This is tough." Gore's tough second-half running helped the 49ers get back in the game and nearly sparked a historic comeback. He rushed for 81 yards on eight second-half carries, including an untouched sprint to the right corner of the end zone that cut the deficit to eight late in the third quarter. Gore's biggest run came with 2:47 remaining and the Ravens desperately holding a 34-29 lead as Colin Kaepernick marched the 49ers down the field. Gore, who adjusted his game after Kaepernick took over for Alex Smith, took a handoff out of the pistol formation and juked a Ravens defender before bursting through a hole along the left side of the line. Two more cuts took Gore toward the sideline, and after outrunning Ed Reed he bowled his way down to the 7-yard line, a 33-yard gain. What was Gore, the eight-year veteran who has overcome so much adversity, thinking as the 49ers looked at a first-and-goal situation? "Game over," Gore said later. "The Niners are going to win." After a short run by LaMichael James, the 49ers came up short on three pass attempts for the game-winner. James, a rookie, sat two lockers away from Gore in the losing locker room. Sounds from the on-field Ravens celebration echoed toward the locker room, and the 49ers sat under banners that read: "NFC Champions." That's as far as the 49ers would get. "I have no doubt in my mind," James said when asked if the 49ers would be back in the Super Bowl. "I have no doubt." Gore knows it's not that easy. He was the last 49ers player to begin dressing after the loss and stood at the corner of the locker room for several minutes, eyes scanning the ceiling and hands clasped behind his head. Coach Jim Harbaugh eventually wandered over, twice patting Gore affectionately on the back. "He told me he's proud of me," Gore said. "He loved the way I fought. I had a great game, but we just didn't get it done." Gore said he wasn't upset that the ball didn't come his way after his 33-yard run that nearly clinched a Super Bowl. His face told a different story. "Every player wants the ball at that big time," Gore finally admitted. "But our coaches make the decision, and we tried our best to make it happen." He said the next step is to keep fighting, to keep pushing to get over the hump. But he knows these chances don't come often, and the scene on the field served as a reminder. 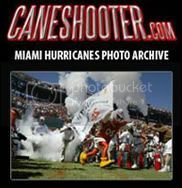 As Gore was whisked along back hallways of the Superdome on a golf cart, two other former University of Miami stars -- Ray Lewis and Reed -- celebrated a title that adds yet another highlight to their illustrious careers. Gore knows it could have been him under the confetti. He believes it should have been him. "It's tough," he said again. "When you're in the dance, you want to get it." NEW ORLEANS -- Michael Phelps was milling around the festive, extremely cramped and steamy visitor's locker room on Sunday night, when Ray Lewis popped out of the shower. The iconic Baltimore Ravens linebacker, clad in a towel, spotted the Olympic swimming champ and unleashed a grin so wide that it might have lit up the Mercedes-Benz Superdome during a power outrage. "I told you I was going out on top!" Lewis told Phelps. "And somebody gave me the formula. Baltimore! Champions!" They hugged, and Lewis grabbed Phelps behind his neck and pulled him closer. They pressed foreheads and whispered. It was a classic moment. Two outgoing champions. Two sports. One hellacious connection. Then Lewis kissed the Baltimore native on the forehead. "I love you to death," Lewis told him. "You gave me the formula." Phelps -- the most decorated Olympian ever with 22 medals, including a record 18 gold medals -- wouldn't reveal the specifics of the formula that Lewis alluded to. But he insists that this goes both ways. "We had some talks," Phelps said. "He helped me." On a very personal level -- and as a huge Ravens fan -- Phelps could relate to Lewis' emotion of the moment. "Being able to watch somebody put the their mind to something and do it," Phelps said, "is one of the coolest things." 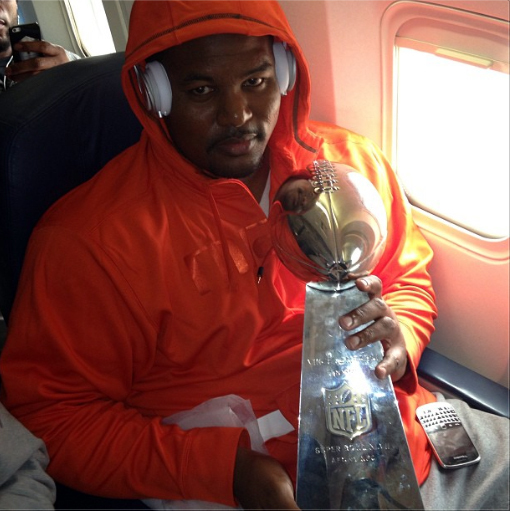 So this is how the last ride ends for Lewis, 37, after 17 mostly terrific NFL seasons. He put his mind to it, and knowing Lewis, prayed on it. Even so, his team nearly blew it against the San Francisco 49ers. His defense gave up 468 yards, but came through when it mattered most with a goal-line stand in the final two minutes, allowing the Ravens to hang on for a 34-31 victory. Experience and grit prevailed over the fresh legs and a fancy, new-wave offense. That seemed fitting in its own way, after Colin Kaepernick's rolling, fourth-and-goal throw from the 5-yard line sailed wide of Michael Crabtree in the corner of the end zone. One of the greatest players in NFL history, the signature linebacker of his era, wins the final game of his career with a goal-line stand to earn his team the Lombardi Trophy. When the pass fell incomplete, the Ravens exhaled. The bench erupted, as players and coaches leaped for joy. Two defenders slumped to the turf. Others embraced. The crafty veteran that he is, Lewis went to retrieve the football. It was like giving himself a going-away present -- compliments of teammates that included MVP quarterback Joe Flacco, Anquan Boldin, Jacoby Jones, Haloti Ngata and Ed Reed, and coaches that included one of the Harbaugh brothers. While Lewis worked the locker room, that football from the play that sealed the game was in the safe and secure hands of one of Lewis' sons -- a kid no older than 10, who sat next to his dad's locker tossing and spinning the ball in the air. This wasn't the only momento from the weekend. On Friday night, Lewis went over to the University of New Orleans for the Super Bowl Gospel Celebration. During media sessions leading up to the game, Lewis was grilled about allegations published by SI.com that he tried to obtain deer antler spray, which contains a substance banned by the NFL's steroids policy. He denied the claims. And he fielded questions about an old, unsolved controversy, too. Lewis was at the scene of an incident that left two men murdered following a post-Super Bowl party 13 years ago. Murder charges against Lewis were dropped, and he was pleaded guilty to obstruction of justice. But after two others were acquitted, the murders were never solved. In his moment to crown the last ride, Lewis was agitated by the controversies. Yet he a got a much different reception from the gospel crowd at Lakefront Arena. It was about redemption. Lewis who was honored. They gave him a Lifetime of Inspiration Award. "Fantasia and her mother gave me the award," Lewis told USA TODAY Sports. "They sang my favorite song for me, too." "The Sam Cooke song," he said, "A Change is Gonna Come." So true. Lewis rides off into retirement with a championship, like Michael Strahan, Jerome Bettis and John Elway. It wasn't a classic performance, when considering all the career highlights that a player who was twice named NFL Defensive Player of the Year supplied over the years. Lewis had seven tackles, but none of the game-changing variety, and at one point he seemed frustrated when he shoved Vernon Davis after a tackle. Maybe the most noticeable plays that he was involved in came on a couple of missed tackles, including a case early in the game when Michael Crabtree stutter-stepped on a crossing route over the middle, then broke Lewis' tackle and wound up with a 19-yard gain. But Lewis had plenty of help. In one instance, after pulling guard Mike Iupati pile-drove Lewis to create a lane for Kaepernick, Reed and Cary Williams came over and pushed Iupati off Lewis in a classic got-your-back display. That's fair enough. Lewis covered the backs of his defense for years. He was the rock. It really doesn't matter now, that Lewis wasn't the designated driver for his last ride. He won. He had a perfect ending. A month ago, when Lewis announced his intent to retire, it seemed improbable that Lewis' last ride would last this long. Then the Ravens beat Denver in double-overtime, aided by Flacco's miracle 70-yard TD throw to Jacoby Jones at the end of regulation, and got sweet revenge at New England. The stars were surely aligned. Lewis had Flacco on his team, and Jonathan Ogden was voted into the Hall of Fame on the first ballot in New Orleans. Ogden and Lewis came in as the original Ravens draft class in 1996 and were rookie roommates. "It's the journey, man," Lewis said. "My best play?" Lewis said, repeating a question. "When the confetti dropped." SAINT ROSE, LA. — Edward Reed was a mess. Jeanne Hall — the woman the Ravens’ safety calls a second mother — can’t find any other way to put it when she thinks back to the classes he missed and the assignments he disregarded as a freshman at Destrehan High. But he was such a charming, clever mess — a kid who wrote romantic poems and played football like no one the school had ever seen. “You’re either going to be a comedian or a preacher,” she used to say on the many nights he stayed at her home, trying to get his world in order. Though Hall has worked with thousands of Destrehan students and hundreds of football players, there’s a reason she keeps Reed’s picture on her desk, beside snapshots of her biological children. That’s why Super Bowl week in New Orleans has been such a proud time for Hall and others who helped Reed emerge from this place. He has returned not only as an all-time-great player, but also as a son who fulfilled their fondest hopes. Much of the Ed Reed we know from Baltimore — the player who discerns patterns on a football field with rare genius, the mentor who shares his wisdom with teammates and youngsters, the mercurial personality who disarms you with offbeat humor one day and withdraws completely the next — can be traced back to this town of 8,122, located hard against the east bank of the Mississippi River. Though he spends most of the offseason with his son in Atlanta, Reed keeps Saint Rose close to his heart. His parents and siblings still live here, and Hall still works at Destrehan High, from which Reed graduated in 1997. Every summer, Reed comes back to hold a camp for hundreds of local kids, running with them on the same fields he trod as a youth star. 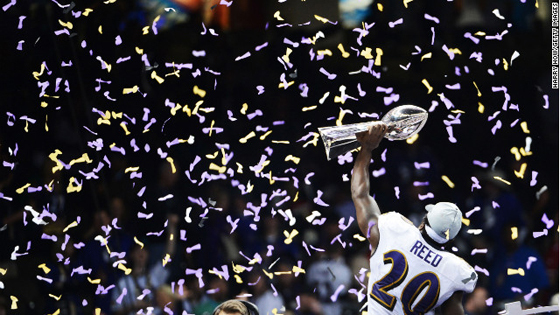 When Reed, 34, sang “Two Tickets to Paradise” after the Ravens won the AFC championship, he wasn’t just commenting on the glory of reaching the Super Bowl. He was celebrating the fact he would be going home to do it. All week in New Orleans, Reed has played belle of the ball, merrily holding court with the reporters he often avoids during the season. He remembered coming to the Superdome as a teenager during Super Bowl week, his reward for winning the local Punt, Pass & Kick competition. Visions of that experience flashed in his head as the Ravens prepared for this year’s AFC championship game. Were they a portent of a trip home for the Super Bowl? Here, they still call him Edward. Saint Rose wasn’t the toughest place to grow up. It’s an increasingly middle-class suburb of New Orleans, with nearly equal black and white populations. It has gentrified some since Reed’s childhood. His father, Ed Sr., was a welder and his mother, Karen, kept the house and tried to keep five sons full on baked chicken, macaroni and cheese and jambalaya. It was a loving home, by all accounts. Karen Reed has not given many interviews, but she came to Destrehan this week to talk about her second son, who surprised her with a new house in Saint Rose when he had enough money. She wore hand-sewn purple Ravens boots, an AFC championship T-shirt and purple nail polish. The family has experienced its share of pain. Two years ago, Ed’s younger brother, Brian, leaped to his death in the Mississippi River after an encounter with a local sheriff’s deputy. But she dwells on the happy side. Saint Rose was a place with enough temptations that a boy could idle his life away. And Reed seemed to be drifting off track when Ben Parquet, a longtime student advocate for the St. Charles Parish school system, got a hold of him. Parquet’s wife, a middle school teacher, had noticed the boy’s intelligence and charisma. Even then, Reed’s athletic skills drew others to him. But he missed classes and rarely focused on his work. One afternoon, when Reed was still in middle school, Parquet took him up to Destrehan to watch a few practices. He wanted to get him excited about something that lay ahead. Reed moved up to the high school without completing middle school. He was too old to remain with the younger kids. The switch didn’t flip right away, but he was headed to the place where he’d find himself. Sports were never the problem. Destrehan has produced a string of NFL players, including receiver Damaris Johnson of the Philadelphia Eagles and punter Mike Scifres of the San Diego Chargers. (Reed swears Scifres taught him to kick). But to this day, the coaches haven’t seen anything quite like Edward Reed. They get to cackling in a hurry as they let their minds wash back over the things they saw him do. “He was the type of kid where if you gave him something, he could pick it up and do it right — right away,” said Reed’s track coach, Ulysses Frontha. In football, he returned kicks as a freshman, played quarterback in a Wing-T offense as a sophomore, served as the team’s kicker and still had time to earn player of the year honors as a defensive back. No matter where he lined up, he always knew what to do when the ball came near. One time, Frontha and Reed’s basketball coach, Charles Griffin, watched from the sideline as Destrehan played rival South Lafourche. It was fourth down late in the game, and South Lafourche lined up to punt. “Coach and I were like, ‘I hope they don’t punt this to Ed Reed, because he’s going to bring it back,’” Griffin recalled. Sure enough, Reed streaked by them seconds later, on his way to the winning touchdown. He would later tell the coaches that he heard their sideline conversation and didn’t want to disappoint. He always showed up late for basketball season because the schedule overlapped with football. But he started from the minute he arrived, and he was so good that he would ruin practice drills by stealing the ball over and over. In track, he was the long jumper and triple jumper, ran in both sprint relays and threw the javelin. As a senior, he wanted to add baseball. “Edward, baseball is not a sport where you can just leave it for three years and pick it right back up,” said the team’s coach, Stephen Weber, now principal at Destrehan. But Reed defied that logic as well, starting at third base and serving as the team’s relief ace, though he had little formal training as a pitcher. He hit three home runs in one game and turned an unassisted double play to clinch the league championship in another. Reed really amazed coaches on the afternoons when the track and baseball teams competed at the same time. Give one up? Heck, no. Reed simply scooted back and forth, running in a relay one moment and hurling fastballs the next. It wasn’t just his athletic talent. There was something different about him, the effervescence with which he played and practiced. Frontha remembered watching Reed as they drove to a summer track meet, bopping his head to the music pouring through his earphones. “Man, what you listening to?” Frontha asked. He also saw early evidence of Reed’s affinity for mentoring. A younger student named Tron Smith came out for the team and showed talent as a leaper. So Reed resolved to teach him the triple jump. In a year, Smith was jumping 48 feet, more than his instructor’s 45. As great as he was athletically, Reed didn’t get his academics in order until midway through high school. Just as he is now, Reed was moody, Hall said. He cared about his endeavors so deeply that he’d get very quiet at times. And then he’d sort it out and be the jokester in the room. Reed knew he needed more discipline, and so he moved in with the Halls during the school year. To this day, Jeanne Hall wakes at 3:30 every morning and texts prayer messages to her kids, including Reed, at 4 a.m. So this warm, no-nonsense woman had no problem getting Reed to school by 8 a.m.
She remembers clearly the night she noticed a change. Reed was at her house, working through math problems after his usual 12-hour day of school and sports. She leaned over his shoulder to check his work. After all the gentle and not-so-gentle pushes from his mentors, Reed had become aware of his potential. “I think he woke up one day and said, ‘I could go places,’” Parquet remembered. 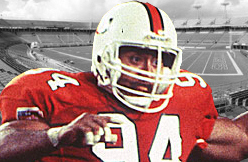 By the time he left for the University of Miami, Reed was a “sponge” for learning, Hall said, the early version of the guy who would come to be revered by Ravens teammates for his masterful study of game film. The atmosphere at Destrehan is welcoming. Students greet teachers and coaches warmly as they pass in the halls, and banners encouraging this year’s Wildcats teams brighten every wall. As cozy as it is, when Reed comes back, he tells the kids not to limit their horizons. So when he talks to kids from his town, he talks about expanding their worlds. He wants them to see in themselves what Parquet and Hall helped him see in himself. Hall followed up a few weeks later, and Frontha allowed that he would like to take his athletes to Dollywood while they were in Tennessee for a track meet. Two days later, he had a check in his hand from Reed to cover the trip expenses for 45 kids and their parents. Karen Reed made the trip to Foxborough, Mass., last year to watch the Ravens in the AFC championship. She felt the pain firsthand as Billy Cundiff’s kick sailed outside the upright and her son fell a step short. NEW ORLEANS — Warren Sapp had another man in his embrace Saturday, and just like during his playing career, the poor guy wasn't going anywhere until the former Bucs defensive tackle decided to let go. Shortly after being elected to the Pro Football Hall of Fame in his first year of eligibility, Sapp was greeted on the set of the NFL Network program by former linebacker Derrick Brooks. The onetime Bucs teammates, who have known each other since playing together in a Florida high school all-star game more than two decades ago, shared a tearful bear hug for about 45 seconds. "He said: 'You're next, man. I love you,' " said Brooks, who will be eligible for the Hall next year. " 'You're next, I love you. You're next, I love you. You're next, I love you.' "
Sapp, 40, becomes only the second Bucs player to be elected to the Pro Football Hall of Fame, joining defensive end Lee Roy Selmon, who was enshrined in 1995 after six years of eligibility. Sapp was the last player announced during the televised show for the Hall of Fame Class of 2013, joining Ravens tackle Jonathan Ogden, Cowboys guard Larry Allen, Vikings receiver Cris Carter, Giants Super Bowl-winning coach Bill Parcells and senior candidates Dave Robinson and Curley Culp. 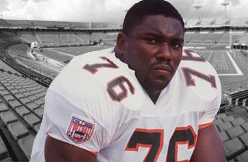 Sapp, after a decorated college career at Miami, was credited with helping transform a Buccaneers franchise from unlovable losers to Super Bowl XXXVII champions during the prime of his 13 NFL seasons that also included the final four years with the Oakland Raiders. So it was no surprise to see him blazing a path to the hallowed ground of the Hall of Fame in Canton, Ohio, where he will be inducted during a ceremony on Aug. 3. While Sapp arrived first among his group of Bucs — as he did to the ballcarrier on so many Sundays — he said he expects to be followed by teammates and coaches. "We went at it, we went out at it with a vigor and a love and a flavor that you just don't see every day," he said. "In that little shack (at One Buc Place) we went and did it. "Brooks is next. (John) Lynch is right behind him. And Tony (Dungy), too. All of us." 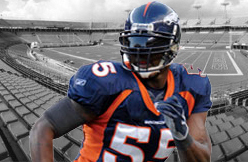 Sapp was a member of the league's All-Decade team for the 1990s and 2000s; defensive player of the year in '99; Super Bowl champion; seven-time Pro Bowl selection; and his 96 1/2 sacks are the second-highest career total for a defensive tackle. But not unlike his career, Sapp had to overcome a few obstacles that threatened to block his Hall path in his first year of eligibility. The 12th overall pick of the Bucs in 1995 was part of an unusually strong class of first-time eligible players, a list that included Allen, Ogden and Giants defensive end Michael Strahan. After a long day of debate, the selection committee narrowed the list of 15 finalists to 10: Sapp, Ogden, Strahan, Parcells, Allen, running back Jerome Bettis, Carter, receiver Andre Reed, defensive end Charles Haley and safety Aeneas Williams. It was the fourth time Parcells had been a finalist, and he was debated for nearly an hour on Saturday. Former 49ers owner Eddie DeBartolo Jr., a longtime Tampa resident, and former Browns and Ravens owner Art Modell did not make the final 10. Brooks said he worried that some voters might focus on some of Sapp's locker room outbursts and on-field bombast and not his play, and he told his former teammate exactly that during lunch Wednesday. 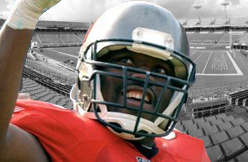 "Yeah, I was ornery when I came to your town," Sapp said. "No doubt about it. I was ornery sometimes when I walked into my own locker room. It was what it was. Hey, sometimes, I was a little ornery. But it all came out in the wash. There was no hatred in my heart. I played a kids game, I got paid a kings ransom and had a ball at it." In the end, Sapp's accomplishments were just too impressive for the selection committee to ignore, making him a first-ballot choice normally reserved for only the most dominant players in the Hall of Fame. Sapp said Saturday that he spent a nervous day with his children in New Orleans. He tried to call his co-hosts he works with as an analyst for the NFL Network — Hall of Famers Michael Irvin, Marshall Faulk and Deion Sanders — but they wouldn't answer. Because the Hall of Fame class is announced in alphabetical order, Sapp was called last. "You think of everything," Sapp said. "You think of everything that went on during my 13 years, the time I spent in Oakland. Ninety-eight when I was a fat a- - and couldn't rush. There were times I questioned myself on the football field. … It's a long way from Plymouth, Fla. (near Orlando) and that dirt road." Brooks said the only question he had was whether Sapp's bust in Canton would be bald or in braids as he wore his hair early in his career. "Braids," Sapp said, "because when that Warren was coming, you had trouble." Of course, legend has it that those busts talk to each other at night. "I want to know who I'm beside," Sapp said. "And then I'll tell you about the conversation." Bears return man Devin Hester has been frustrated this offseason, and said he might need a “fresh start” to make football fun again. Hester told Vaughn McClure of the Chicago Tribune he wanted to play a few more years, even if it is somewhere other than Chicago. “I’m going to try to get two or three more years in,” the 30-year-old Hester said. “I think I have that much left in me. Hester has a year left on his contract, but seemed more frustrated with his lack of action on offense. He caught 57 passes in 2009, but just 23 last season. “Not only this year, but the last couple of years it has been like that,” Hester said. “It was really starting to show, why I was frustrated. He called a trade “a possibility,” but said if he returns to the Bears, he’s willing to just return. “To be honest with you, if I’m still here, I don’t want to play offense,” he said. “I don’t think my role [on offense] will fit. I can’t truly say that with the new offense, but from past experience, I don’t think it will fit. . . .
It’s clear that Hester’s issues go far beyond the firing of head coach Lovie Smith, and will be something the Bears need to decide if they want to work on fixing, or just move on from the aging return specialist. The Detroit Lions offensive line has experienced unbelievable continuity over the past three seasons, running out the same starting five for 42 of the possible 48 regular season games. That's expected to change in 2013 with Gosder Cherilus hitting free agency, Jeff Backus potentially retiring, and the salaries of Stephen Peterman and Dominic Raiola making both potential cap casualties. The Lions have been adding depth to the unit over the past few years and coach Jim Schwartz is confident the younger players in the group are ready to step in if needed. "We're prepared for a lot of different ways," Schwartz said. "It didn't show this year because Riley (Reiff) had to play one game at left tackle, Jason Fox was an inactive for all but one game, Corey Hilliard was an inactive just about every game, but we have developed some pretty good players there. We have some pretty good players in the pipeline. If we think the best course of action is to go there, then we're prepared for that." 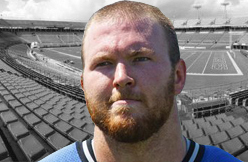 The Lions selected Reiff in the first round of the draft last season and he's expected to start in 2013, although where remains to be determined. General manager Martin Mayhew and the coaching staff have consistently said the long-term projection is to have Reiff replace Backus at left tackle, but the second-year player out of Iowa is capable of playing all four tackle and guard positions. As for when the team expects to hear from Backus about his 2013 status, Schwartz says the veteran has earned the right to take the time with the decision. The league year doesn't start until March 12. 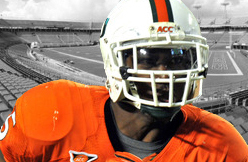 Fox, a fourth-round pick out of Miami in 2010, battled various injuries his first two years before making it through last season unscathed. He's a restricted free agent, but is expected to be tendered by the club. The team also added Bill Nagy off waivers during training camp last year. He was let go by the Dallas Cowboys after suffering a severe ankle injury and spent the entire season on injured reserve. A seventh-round selection out of Wisconsin in 2011, Nagy can play both guard and center. The Lions could also look to further revamp the offensive line in the upcoming draft. 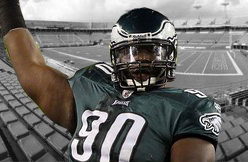 Philadelphia Eagles DT Antonio Dixon could play nose tackle for the Eagles in a 3-4 defense. The problem with Dixon, according to Rich Hoffmann of the Daily News, is that he may not be big enough to play the position, meaning the Eagles may have to try to find someone to play the position. NEW ORLEANS — Former Jets quarterback Vinny Testaverde remembers when the team was taken seriously. He was part of three Jets playoff teams and finished with a losing record just once in seven years. Now, Testaverde has watched from afar as the Jets have become a punch line and punching bag for the NFL. Testaverde believes they bring a lot of it upon themselves. Testaverde never said coach Rex Ryan was to blame for the frenzy that always seems to surround these Jets, but added he thinks Ryan could do a better job of managing the firestorms that pop up around the team. Testaverde was doing interviews about the hot-button topic of the cold-weather Super Bowl in New Jersey next year. Testaverde said people should study the facts about how much of an effect the weather actually can have on the game. 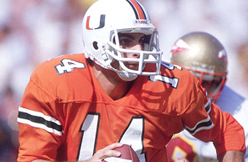 Testaverde said weather conditions always are part of football. Whatever the weather, Testaverde said he hopes the Jets can find a way to get to the Super Bowl next year, however unlikely that seems at the moment. “Hopefully, they’ll be [the first team] to play in their home stadium for the Super Bowl in MetLife Stadium,” he said. CLEVELAND — Former Cleveland Browns quarterback Bernie Kosar's glowing assessment of a doctor's work to ease Kosar's slurred speech, insomnia and headaches has created a buzz amid rising interest in sports concussions. Kosar, who publicly discussed his treatment last month, said he has been inundated by calls from NFL players wanting to know more about Dr. Rick Sponaugle of Palm Harbor, Fla.
"It works for me, that's all I know," Kosar told The Cleveland Plain Dealer in an interview published Sunday. Sponaugle, who treated the 49-year-old Kosar in December, is a medically trained anesthesiologist who graduated from West Virginia University's School of Medicine in 1982. He did his residency at the University of Florida and has made Florida his home ever since. Sponaugle's website, sponauglewellnessinstitute.com, said he provides programs for 14 brain-related ailments, including trauma, Alzheimer's disease and attention deficit hyperactivity disorder. Sponaugle said that 70 percent to 80 percent of his patients come to him for something other than addiction. Kosar found Sponaugle after doing research on the Internet and arrived at the clinic within days of Kosar's widely publicized radio interview in which his speech was badly slurred and rambling. Kosar said that by the time he met Sponaugle, he had seen many doctors but failed to find relief from years of headaches, insomnia, slurred speech and a persistent ringing in his ears. Sponaugle said Kosar had previously been prescribed pain pills by doctors and that more recently he had been given sleeping pills. 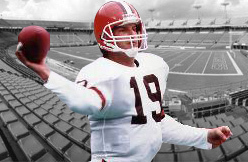 Kosar's treatment for what he describes as his concussion-related problems began with four days at Sponaugle's Florida clinic. He spent a total of 15 days there in December and was expected to return in January, according to Sponaugle. The treatments included administering an intravenous tube and dietary supplements, both Kosar and Sponaugle have confirmed. According to The Plain Dealer, neither would identify the supplements nor what was fed through the IV tube. Sponaugle calls the contents of his IV drip proprietary and said Kosar was awake throughout his treatment. Dr. Robert Cantu, a Boston University neurosurgeon and brain-injury researcher, said using IV therapies and supplements to treat brain trauma is not standard practice. Omega 3 oils and DHA, among other nutritional supplements, have been tried but none has been proved in double-blind studies to be effective, Cantu said. The theory, he says, is that such supplements, many of which are known to be anti-inflammatory agents, improve blood flow to the brain, helping to heal damage. But Cantu said he was not aware that such therapies have been shown to improve post-concussion syndrome. The interest in concussion and its causes, long-term effects and possible cures has increased in recent years. In 2009, as news reports about former players' medical treatment received national attention, Congress held hearings on the cognitive dangers of professional football and, in response, the NFL adopted rules designed to better protect players. 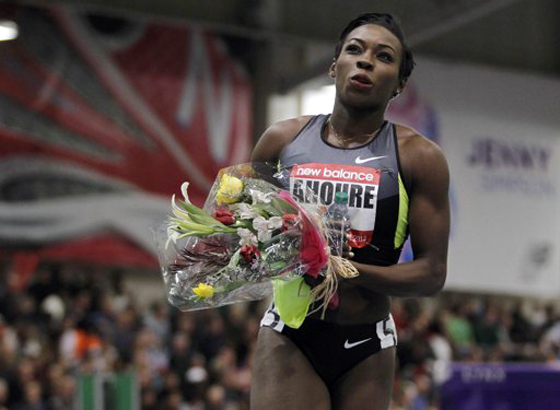 Murielle Ahoure of the Ivory Coast smiles as she takes a victory lap after winning the women's 60 meters during the New Balance Indoor Grand Prix track meet in Boston, Massachusetts February 2, 2013. 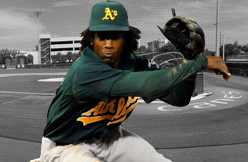 The talent is still there, insists Billy Beane. That's why the A's general manager was so patient with a struggling Jemile Weeks last year. That's why the second baseman, hitting just .220 over 113 games, wasn't demoted until August. And that's why Weeks, who turned 26 last week, will be considered very much a part of what manager Bob Melvin deemed the "open competition" for the second-base position this spring. So, too, will Scott Sizemore, from whom a breakout season at the plate was expected before he suffered a season-ending knee injury on the first day of Spring Training workouts in 2012. The plan now is for Sizemore to see time at both second and third this spring, with the latter spot being Josh Donaldson's to lose, thus likely leaving Sizemore to battle it out with Weeks for an everyday job at second base. Ultra utility player Adam Rosales and versatile prospect Grant Green will also be given looks at the position. "I think it's going to be a nice competition over there," Melvin said. "Just because someone starts there Opening Day doesn't mean someone else might not be there the next day based on a matchup." Weeks was primed for great things in his sophomore campaign, simply based on how easy he made the transition to the big leagues look during a remarkable rookie season, when he hit .303 with 26 doubles, eight triples, 36 RBIs and 22 stolen bases in just 97 games. The switch-hitter would have appeared in even fewer games had then-incumbent Mark Ellis not suffered an early-season injury. But Ellis' trip to the disabled list paved the way for Weeks' callup, and even when Ellis was cleared for a return, the classy veteran insisted the hot-handed Weeks keep playing. 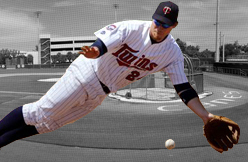 Ellis, subsequently, was relegated to a utility role and, shortly after, traded to the Rockies -- a sure sign of Oakland's commitment to Weeks, the organization's first-round pick out of Miami (Fla.) in the 2008 First-Year Player Draft. Such trust in Weeks was cemented even further after the season ended, as he was considered the lone untouchable while the club essentially made every other player available. Less than a year later, he was back in Triple-A Sacramento. Only later in September, following the River Cats' playoff run, did Weeks return to the A's, but he was left off the club's postseason roster. "I'm definitely a confident player, but there were times at the plate where I wasn't committed to what I was doing," Weeks said at the end of the season. "It's believing that what you're going to do is going to work. When you face a lot of failure, you might question that." "It's not uncommon to see a guy who had a great rookie season take a half-step back the next season," Melvin said. "His talent level has not gone away. I talked to him recently, and I know he has high expectations for himself. He's not going to let any distractions get in the way. We've seen what he can do." It's a unique situation the A's face this spring. The club tries not to use camp to make evaluations that lead to roster decisions, because of the small sample size. Yet Melvin and Co. must do just that this year with the likes of Weeks and Sizemore. "Jemile had a tough year on the field, but his attitude was great when he went down," Beane said. "We think very highly of his talent. He's a great kid, brings a lot of energy when he's out there. I think he'd be the first to tell you that he expected more and that he'll bounce back this year."